Sistān o Balūchestān Persian: استان سیستان و بلوچستان‎ is one of the 30 provinces of Iran. It is in the southeast of the country. It has borders with Pakistan and Afghanistan. Its capital is Zahedan. 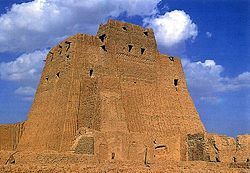 The province is the largest in Iran, with an area of 181,785 km² and a population of 2.4 million. 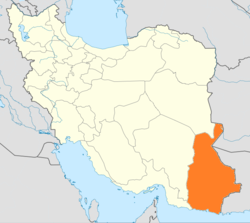 The counties of the province are Iran Shahr, Chabahar, Khash, Zabol, Zahedan, Saravan, and Nik Shahr. The region is also home to Iran's Baloch Sunni minority. This page was last changed on 6 June 2018, at 09:20.